I’m not a sweater knitter. I’m a shawl knitter. I was a sock knitter for awhile. I’ve knit some mittens. And some hats. I knit a bag once. And a blanket. Some stuffed animals. And a pair of slippers. But I don’t really knit sweaters. I’ve finished a total of 5. 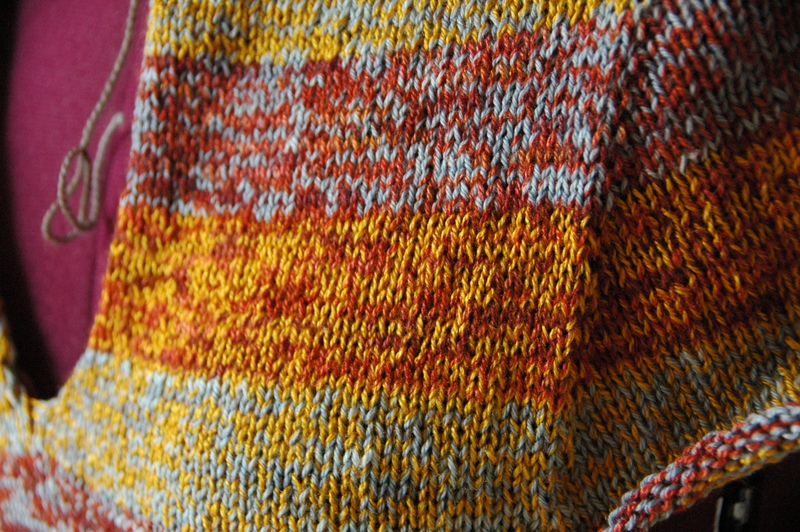 And one needs a dropped stitch tacked down. And one I might over dye. And one that has about 10 minutes of work on it. But I started another one last week. Which brings me up to 5 sweaters on the needles. 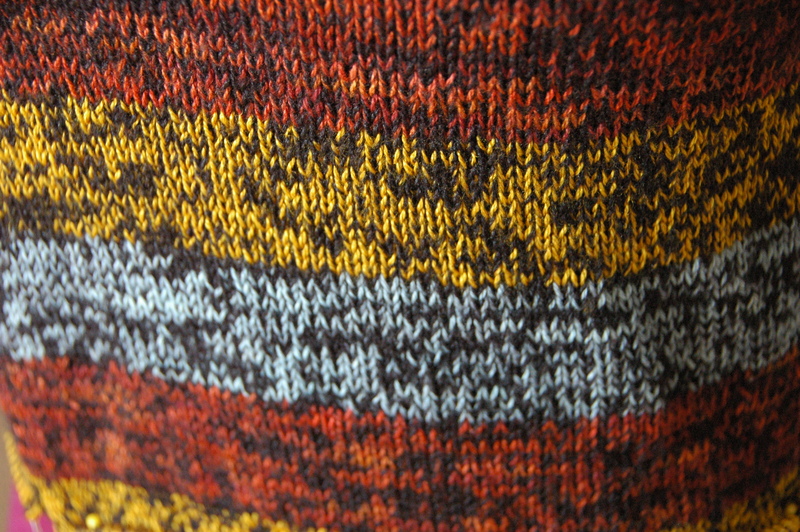 The pattern is Versio by Ankestrick (here it is on Ravelry.) It’s a top down pullover, with continuous set in long sleeves (which are kind of totally brilliant! 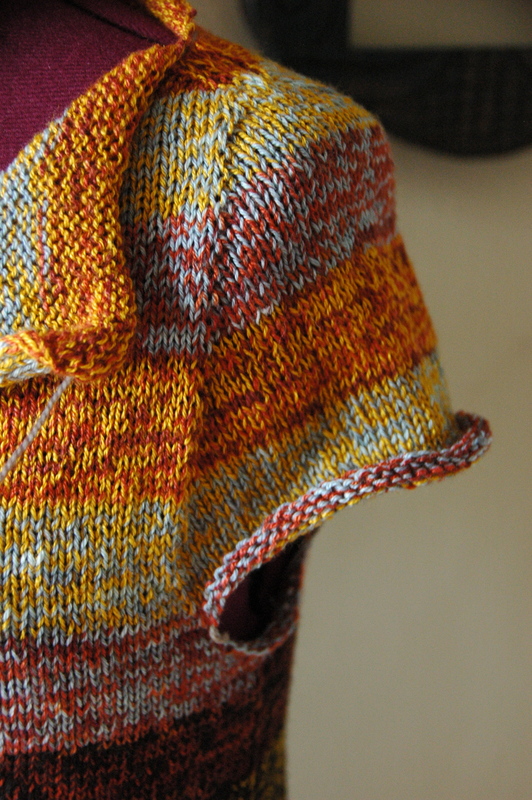 ), and I’ll be adding the hood that Rililie on Ravelry wrote out. I chose it to fill the role of a sweatshirt in my self-made wardrobe. 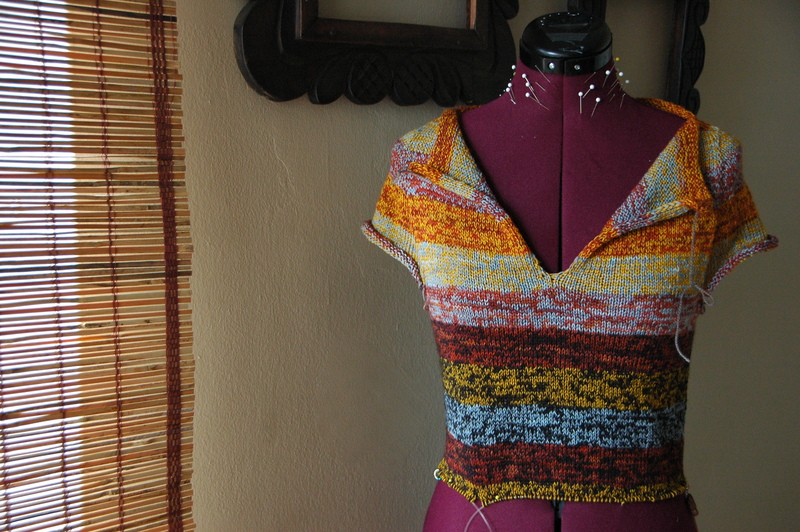 I wanted something light but warm, that would be easy to wear, but not boring to knit. I’m holding two strands of lace weight yarn together (the pattern calls for one strand of lace weight) on a size US 8 (5.0 mm) needle. I’m hoping most of 1 skein of each will be a enough. Everything (except the Cascade), is from some swatching I was doing for my LYS, so I have one almost full skein of each. I’m beginning to have my doubts that this will be enough yarn on it’s own. If it’s not, I’m planning on doing the lower portions of the body and sleeve in the solid black Cascade. Beautiful Holly..total love your original color combination. Looking forward to seeing this on you! Beautiful sweater, love the style and pattern. I’m a shawl knitter also but will do a sock or two and a poncho. Thanks so much Mary Anne. 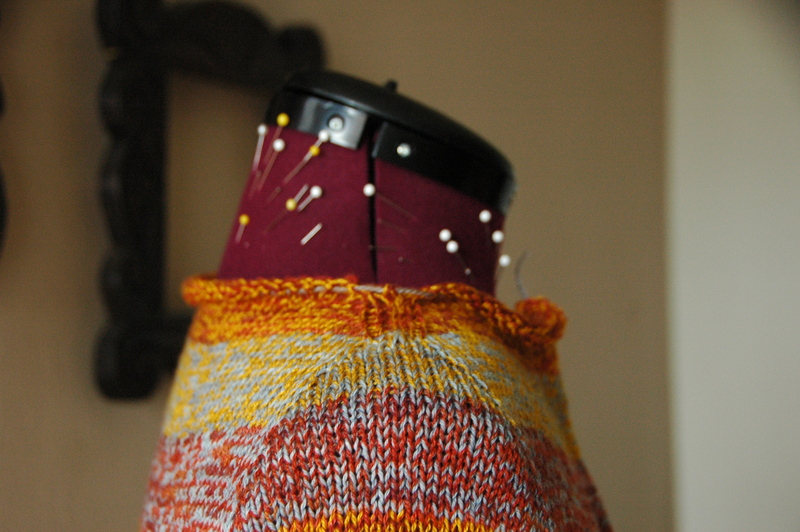 I’m loving how the self-made wardrobe project is pushing me out of my shawl knitting shell.